Russia's Finance Minister Aleksey Kudrin says Russia is almost immune from other countries’ financial policies, and as a result, has more flexibility at global summits. He also warned that if some nations continue to weaken their currencies, it could force others to respond, leading to a surge of protectionism. RT: What real economic results does Russia want to see after this summit? 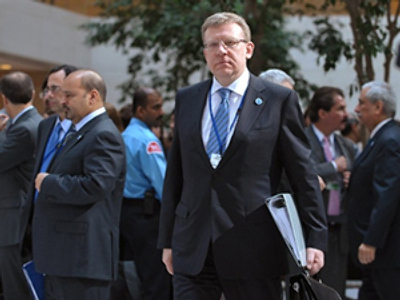 Aleksey Kudrin: First of all, the world has entered a new stage of fighting the crisis. While most countries are already showing economic growth, it is still very unstable, and we must be very careful about discontinuing economy support measures. Demand still needs to be supported, so this discontinuation of anti-crisis measures will be a prolonged process. Nevertheless, we are looking for ways to create private demand. We expect private demand to break through. Different methods are being used, including selective support of central banks, and others. It is very hard to find the best solution, but joint efforts by countries have been fruitful, so we hope that the whole world is not going to fall back to new problems. RT: What kind of concrete proposals will we see from Russia? AK: At this summit, we will sum up the results of preparing certain measures, such as financial regulations for markets, aimed at preventing more bubbles from bursting and major companies from going bankrupt. Banks will be ordered from now on to conform to the Basel III regulations, and so on. Speaking of the IMF reforms, this summit will see the results of new quota distribution, and discussion of new roles that international institutions should play in order to save countries from new crises. There will be a discussion on how to create a security network that would give countries secure access to credits. Russia has its propositions on almost all of these matters. To a great extent, they are coordinated with BRIC countries and most of the G20, so in these discussions, we are in a position of consensus with other countries. Those matters concern currency exchange rates, financial regulation and architecture, and energy prices: on most of those matters, our position is very similar to those of other countries. RT: The USA just poured $600 billion into its economy. 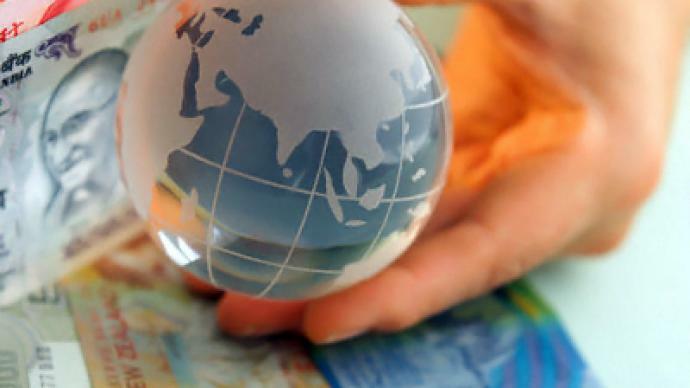 Do you think America is exporting its crisis abroad? AK: We shouldn’t put it this harshly now, I think. At the first stage, the Federal Reserve took the brunt of the crisis, saving other countries by creating sufficient demand. At that stage, the Fed played the decisive role, as did the European Central Bank. Those two institutions played the critical role. As for this stage, discretion must be used while taking action on the world market. I wouldn’t call it "crisis export" right away, although this money can have a very different effect on different countries. No doubt, it will help the USA, and the USA will remain the driver of the global economy. However, that "easy money" flowing into developing markets may boost asset prices, so some countries may experience certain difficulties. I wouldn’t say, though, that such measures are going to drive us all into another crisis. RT: Let's talk about China. They control their currency, raising production and exports, and Germany is also a leader of exports. Do you think one could cal this “economic egoism”? 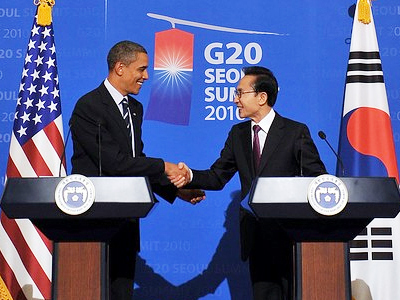 AK: Well, speaking of China, it really is pursuing a somewhat different economic policy now. It is notorious for its lack of flexibility. We say that within common, coordinated efforts, courses must be more flexible. This is what we must aspire to. I can't say, though, that we must move towards this as fast as possible. If China devalues its currency now, the world may not benefit from it that much. The world isn’t going to win as much as China is going to lose. China is also a driver of growth these days, so I think the flexible-rate policy should be implemented gradually. Today, I detect certain minor displays of egotism on the part of some states. RT: The U.S. criticizes China for devaluing the Yuan, but they are practically doing the same with the Dollar. Russia has reacted, we can say, calmly to this. Is this because it does not want to tell to other countries what to do? Is that the reason? AK: At the moment, Russia isn’t bothered much by these problems. We are not suffering much from this policy now, although in the medium and long-term perspective, we do hope that China adopts a more flexible policy. Today, neither the policy of the US nor the policy of China can hurt us much, which is why we take a moderate position and always seek compromises and common consensus within the G20. 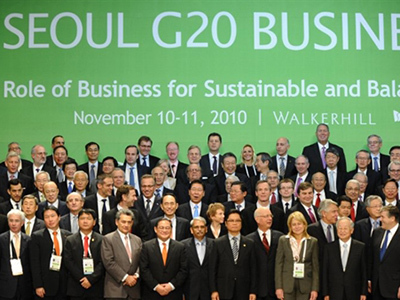 We occasionally act as an intermediary both within BRIC and the G20 in the search for consensus. Russia sees it as one of its roles as well. RT: But there is still a lot of talk of the currency intensifying, in that case – will Russia get involved and will it have a choice? AK: Those problems can get worse. Such a possibility exists, and it is widely discussed today. If some countries keep trying to obtain competitive advantages by artificially keeping their currencies low, this may lead to other protective measures being used, such as tariff regulation and export bans. We will see a wave of protectionism. So we need to find a path that we will all be able to follow without seriously infringing on the balance of interests of all countries. We should not please some countries at the expense of others. This is why we think we should be considering ways of increasing flexibility of exchange rates. There have been propositions here to determine exchange rates according to the current balance of payments and to impose maximum limits on the balance of payments. While we haven’t been able to implement that policy at this summit, instructions have been given to finance ministries to consider these measures before the next summit. The decision has been made to work on this matter and to hone that mechanism, although the measures themselves were not implemented at this summit. Secondly, a responsible economic policy, which shouldn’t lead to wars like this one, must provide limitations on budget deficit and foreign debt, like the Maastricht Treaty. Now we need to develop similar criteria for the world economy, which is something we discussed two years ago, during the crisis. Most likely, today we will agree on a roadmap, a schedule of developing such regulations. Those are just first steps, which will eventually lead to a situation when there will be no imbalances that have been corrected by way of currency wars. We should limit currency wars themselves with those limitations on the balances of surplus payments. These measures are underway now, but most likely they will be ready by the next summit. RT: But two years ago, leaders also proposed to fight protectionism and in fact it got worse. AK: Well, we agreed in Toronto that we would all refrain from any additional protectionist measures. As far as I know, there has been little protectionist activity since Toronto. What you are talking about must have occurred before Toronto, when some countries were taking measures to save themselves. Right now, countries refrain from protectionism, although we all realize that some extra measures are needed to make sure such protectionist barriers do not appear again. 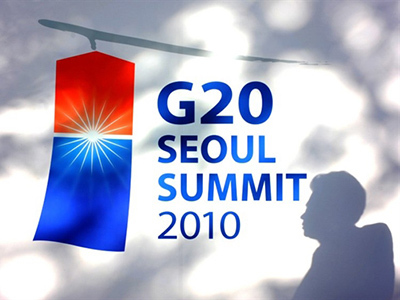 RT: During the meeting of finance ministers ahead of the G20, the BRIC countries strengthened their role in the IMF. What does that mean for Russia? AK: We must always coordinate our position with BRIC countries. On the other hand, BRIC's position, including that in the IMF, will grow much stronger after the quota redistribution that is to be approved by leaders at this summit. After the approval, BRIC countries will get into the top ten biggest IMF shareholders. Russia will be 9th, India 8th, Brazil 10th, and China the 3rd biggest shareholder. That means that our share and our contribution in IMF decisions will grow to just under 15%, which is close to a blocking stake, which is usually 15%. So, Russia's role in IMF's decision-making has definitely grown bigger. RT: The President of the World Bank Robert B. Zoellick recently proposed reforming the world currencies system, strengthening the role of gold – what do you think about that idea? Is that a reality? AK: I think there is no coming back to the gold standard. In today's world, it is impossible to peg any currency to gold or any other metal or resource whatsoever. This is obsolete now. What we are discussing now is just the opposite: how to make those exchange rates more flexible, meaning they are not pegged to any natural resources like gold. RT: How much of a chance is there that we could see countries, the world’s economic powers, switch to a multi-currency reserve? AK: I think, in future, as the economy globalizes, the need to create a certain basket of world currencies is going to arise. It's going to be many years before we get there, though.